I've always loved Bean the Dynamite. such a cool and fun character. If you get bullied then just ignore it. 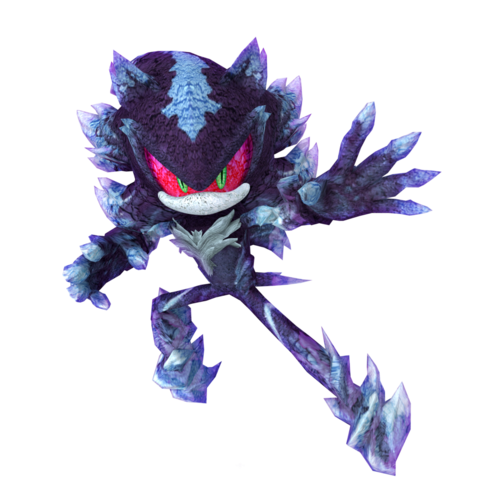 I just noticed Mephiles doesn't have feet. That makes him a lot less intimidating to me. Lul. I Still Like Mephiles' Overall Design. The Crystal Design Anyway. Not The Bad Shadow OC. It bugged me in the cutscene after the Shadow/Omega fight. You got this villain being all evil and stuff, but when he gets beaten up, he stumbles around like a fawn on those pointy things.... Kinda like Bambi.